Did you know that over 8 million tonnes of plastic end up into the ocean each year? Very little of this amount is recycled or incinerated in waste-to-energy facilities and much of it ends up in landfills, where it takes hundreds of years to break down. This affects our health as it’s being ingested by birds and fish that are part of our food chains. Here at Just Boarded, we decided to beat plastic pollution by inspiring travellers to reduce the amount of single-use plastic water bottles they buy. The rule is quite simple: if you can’t reuse it, refuse it. On a recent trip through the Balkans, we had the opportunity to test the GRAYL® Ultralight Purifier Bottle. Read on to know what we think about it and how you can also help us reduce plastic pollution. “One million plastic bottles are purchased every minute, yet in the developing world only two percent of plastic is recycled. As an industry, we must act together to free ourselves from our dependency on the single-use plastics that are choking our natural resources and threatening the very places in which our industry thrives,” Andrew Weber, GRAYL CEO. The GRAYL® Ultralight Purifier Bottle has been designed with the aim to create a purifier that was easy, fast, compact and lightweight. 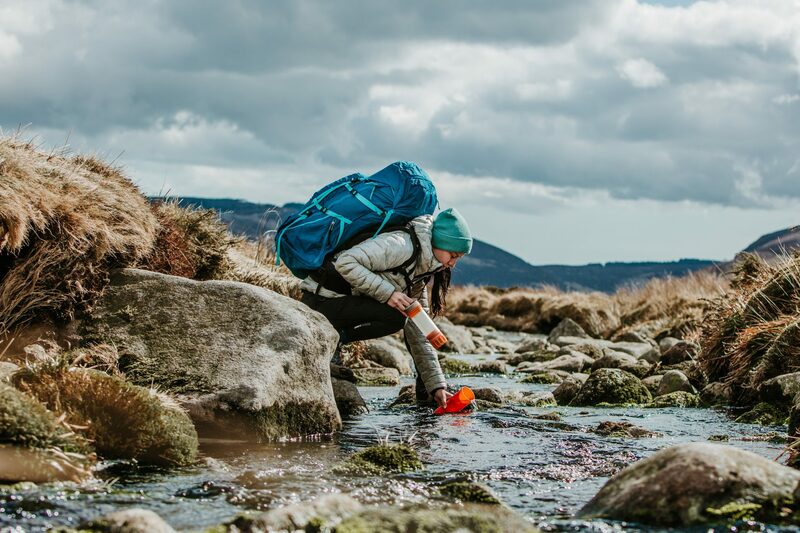 This Award Winning Design looks like a normal reusable water bottle (although it is slightly heavier due to the purifier cartridge in the bottom) and is the best way for travellers to make their own safe water, anywhere in the world. It provides the ultimate protection against pathogens (viruses, bacteria, and protozoa), particulates, chemicals and heavy metals by removing 99.9999% of viruses and 99.9999% of disease-causing bacteria. So whether you’re trekking through the jungle in Vietnam or in the Himalayas in Nepal, GRAYL has got you covered. 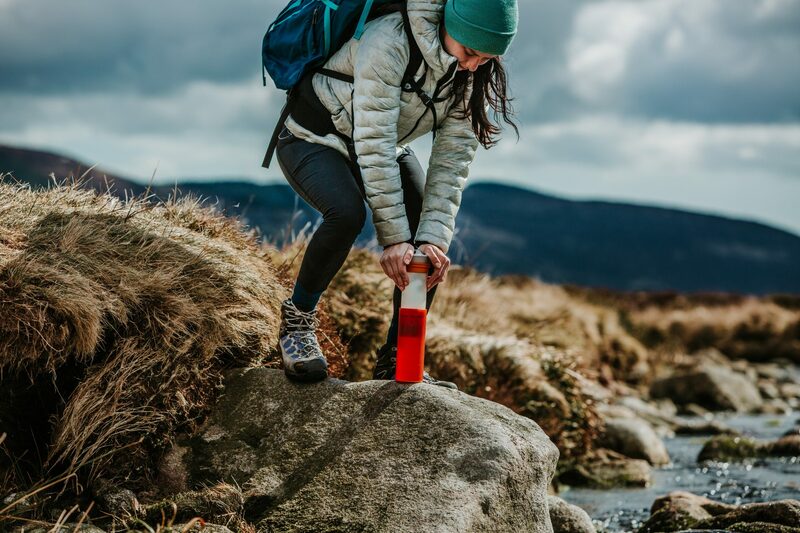 The GRAYL® Ultralight Purifier Bottle is ideal for travellers, adventurers and backpackers and can be used while you’re doing any outdoor activities or international adventures. We put our stomach to the test during our last trip and used our GRAYL bottle while trekking amongst the Accursed Mountains in Albania, Kosovo and Montenegro a few weeks ago. Being in the middle of nowhere, we had no other choice than taking water from the streams, rivers and lakes we saw along the way (and also in other sketchy lodges sinks!). Well, we’re pleased to announce that we did not get sick at all during our trip! The capacity is only 473ml but as you can fill it with any water it’s not really an issue (unless you get lost and end up in the middle of the desert…). Our advice is to take another reusable water bottle or platypus and use your GRAYL water bottle to fill them. You can even share it with your fellow travellers to provide clean and safe water to everyone. The GRAYL® Ultralight Purifier Bottle is ridiculously easy to use. It does not require batteries, ultraviolet light bulbs, hoses, straws, pumping, sucking and does not require you to wait for a chemical reaction to complete. All you have to do is fill the outer shell up to the marked line at any stream, tap, lake. Some even say you can do it with toilet water (sorry to disappoint you but we haven’t been brave enough to try). Then, place it on the ground, insert the inner press into the bottle and press down (yes, we allow you to count that towards your daily workout goal). The water is forced through the cartridge, and as it passes through, it leaves you with a safe to drink water inside the inner shell. And all that in less than a minute! Good to know: the filter inside your GRAY bottle can be used 300 times (that’s three times a day, for a bit more than three months). Note that filters can be bought separately. Travellers rarely include water purification on their packing list. They therefore rely on purchasing single-use water bottles while abroad. For us, GRAYL has changed the way we drink water when travelling. We no longer buy single-use plastic water bottles and we don’t use chlorine drops or tablets either. 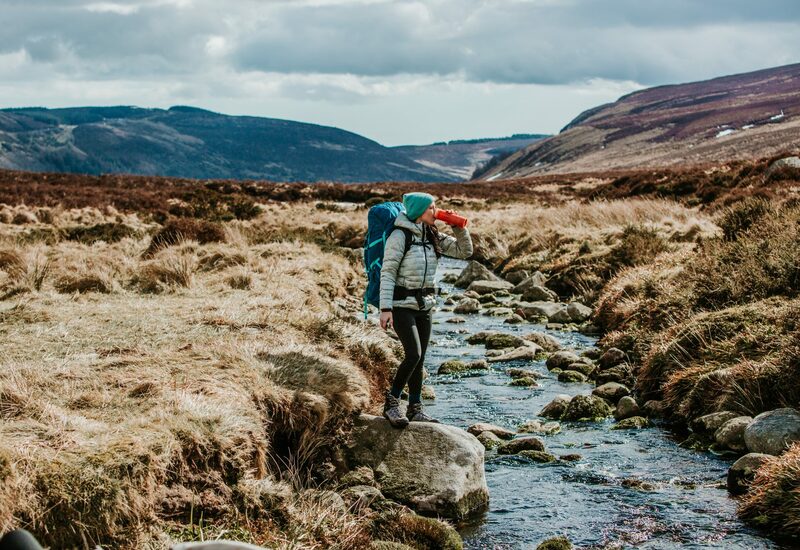 Travelling with our GRAYL water bottle has been our new habit and we can now make sure we have access to clean water whether we are waiting at an airport or trekking into the jungle. Put it simply, the GRAYL® Ultralight Purifier Bottle is good for your health, your wallet and the environnement at the same time. Pretty good deal right? To get your own GRAYL® Ultralight Purifier Bottle, click here. To know more about why has plastic turned into a problem, check this great video done by UN environnement and the Clean Seas campaign.